Happy Tuesday to you all and welcome to this week’s Pogo Insider Blog. How was your weekend and what have you been up to this week so far? I know, I know. It’s only Tuesday and there’s a whole lot of week left. I hope yours is off to a good start. This week’s Sneak Peek is for two up and coming games. Here are a few photos from Sweet Tooth Town. And here is a scene from Claire Hart: Soul Searcher and the same scene from the new Claire Hart Classic. Winter Journey Challenge Quest – This 4-week follow-up to the Autumn Odyssey Challenge Quest kicks off on January 30. Get ready for another big quest! Mahjong Escape Badge Marathon – Starts February 5, with five new Challenges. Ten-Game Badge Marathon – Slated to begin in mid-February. Poppit! Party ™ – New costumes were released today! Which new costume is your favorite? Cookie Connect – New levels and Badges are coming in February. Claire Hart Classic – Releasing January 31. The Flash version of Claire Hart: Soul Searcher will go offline on January 29. 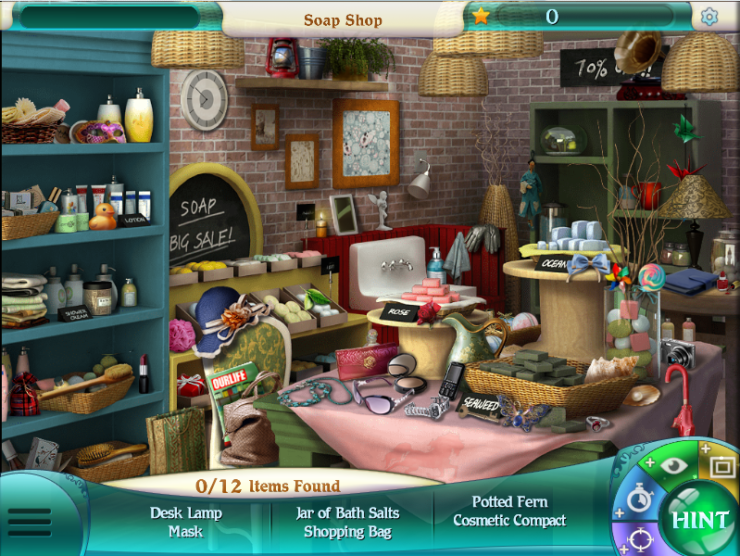 The new HTML5 version, called Claire Hart Classic, will go live the same day. All the episodes that you purchased in the Flash version of Claire Hart: Soul Searcher will be owned by you in Claire Hart Classic! You can read more about Claire Hart Classic here. 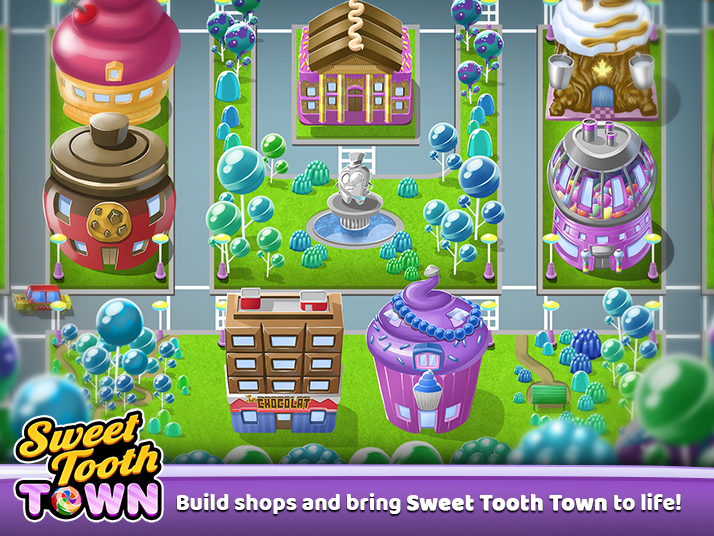 Sweet Tooth Town – A new game is arriving here in Pogo! You can expect this to release in February. Q. Do you know if (enter game name here) will be transferred over to HD? A. Almost every Pogoian has a favorite Pogo game and some of those were built in Java or Flash. So we understand why so many of you are anxious to learn if and when your favorite game gets updated. I want to make sure you always have the most current up-to-date information on which games are being transferred over. Once I receive the word about any games being converted to HD, I share the news in the Construction Zone section of the blog. I’m always eager to share any good gaming news. Please make sure you are watching the Construction Zone section of this blog for all game updates. Q. 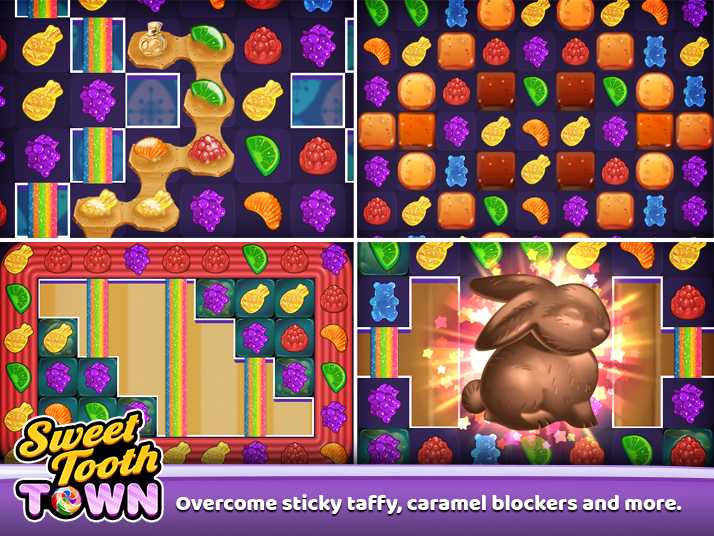 Is Sweet Tooth Town replacing Sweet Tooth 2? A. 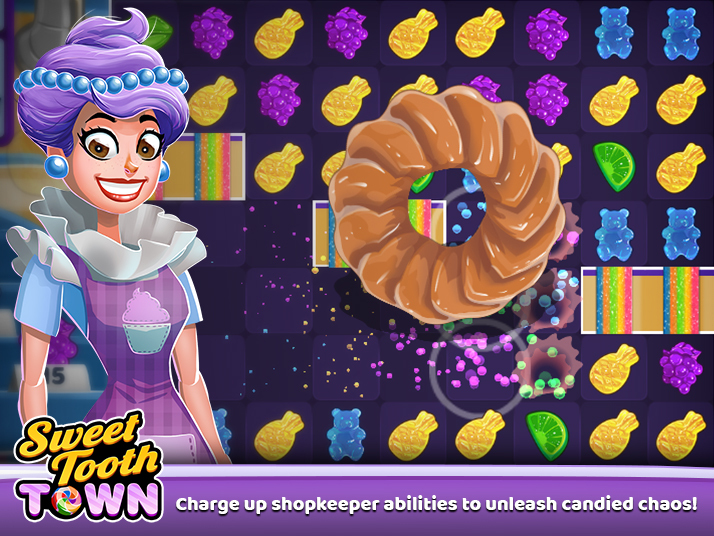 Sweet Tooth Town is a brand-new game will not be replacing Sweet Tooth 2. In some ways, it’s a big, bold sequel! Speaking of Sweet Tooth Town, it will be arriving on Pogo in February. Pogo Terry (a.k.a. Cap’n Pinchers) will be joining me in the Pogo Studios to answer questions about this upcoming HTML5 title. If you have a question for Pogo Terry that you’d like answered in the Q&A, please comment below. It’s quite possible your question will be answered. To those experiencing cold temperatures, please stay warm and be safe out there. Have a great week and good luck to all of you embarking on the Winter Journey Challenge Quest! Take good care and remember you matter. Just as soon as I am able to, I will provide you all with more information. Thank you for your patience. There will be no new items in the Mini Mall. It’s a happy day in Pogo for me today Pogo_Llama. Thanks for the new set of outfits for Poppit Party. I am having tons of fun in there earning the new outfits. Love their mini outfits and saw They need to check on the Ringmaster outfit thought. I noticed to today he was coming up with a whip in one hand but it’s supposed to be cotton candy as that is the item that is earned. Just an FYI. Beyond thrilled ot learn that I keep my personal mini mall in tact.You know I have written many times about that to you lol. So along with the rest of the mini makers we are doing the happy dance. Not happy there a no new minis in production but we can still dream huh. LOL. So thanks again for the news and the new game addition. Today you and Pogo Rock. Thanks for reporting that about the Ringmaster. I’ll have someone take a look. I’m glad you’re so happy here in Pogo today. Have a great weekend! I LOVE POGO!! GREAT JOB ON NEW GAMES COMING!! Thanks doglvr2010. Have a nice weekend! will we still be able to change our screen names after the sign in experience is completed. i am looking forward to the new game sweet tooth town. I’m really not sure but if that feature becomes available, I shall let you all know here in the blog. I would like to know if the game Payday Free Cell will ever be enlarged. My eyes hurt when I do that game, and I love to do it. Unfortunately, that game in its current for does not have full screen ability. You can, however, use zoom within your browser to make it a bit larger that way. Thank you for all the info regarding upcoming events. You and Pogo sure are busy. I have a question regarding mini-mall. Know you need to stop because Pogo wants to focus on games, but is there any chance you will consider releasing some older mini items that are no longer available to purchase? I have a couple of items I could kick myself for not buying when they were available? Looking forward to more new games. Thank You and good wishes to all. Keep warm! Hello mookermom11. Happy Thursday to you. Thank you for your suggestion on the Mini Mall. I shall pass it along. You keep warm as well and have a great weekend. 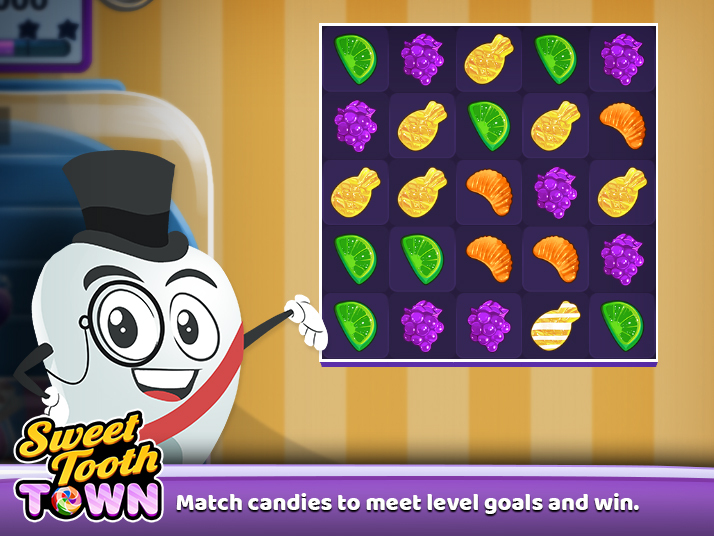 It’s a pretty sweet game…hehe! Thanks for your interest! If you click here, you’ll be taken to a page that’ll provide more information. Have fun! So glad that Pogo Party finally has a new level. It’s my favorite game when there are goals to be met. Not much fun at all once you’ve leveled out. Have a great time with the new costumes, mountainhombre9! Are there any plans to upgrade Lottso, Dice City Roller, or Keno Pop? I really like the team games with chat. New Sweet Tooth looks great! 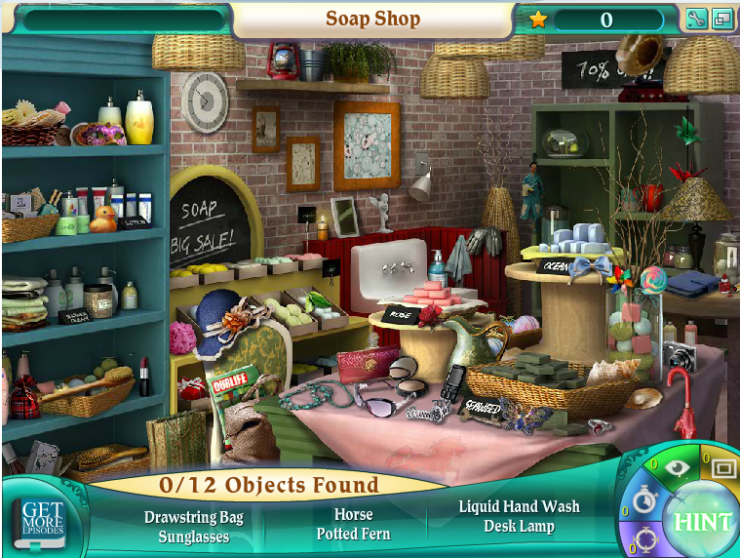 Thanks for all your hard work and new games, but I was somewhat disappointed when I saw the preview screen shot of new game Sweet tooth Town. It looks like a juvenile kids game, with graphics to match. Really, it’s a turnoff to see those childish graphics and I would think many of your members are adults, so how about making graphics in many of your games less juvenile. I realize Trizzle and some other games are appealing to kids, but I don’t play those games that appear to be for kids. Thanks, Bingo! We love having you here playing Pogo. Thanks for your feedback, bvlady45. You’re welcome for the free gifts, glad you enjoyed them. Please let your friend know that all Pogo players will need to have an email address in order to login to their account. Would you be able to help her create one? Thank you so much, pmssiss64. I really appreciate you being a part of Pogo. It is so nice to have you to talk to. I hear you on being only able to share with us the names of the games as they begin the transition process on them. What worries me is that all we are seeing are these matching and/or number sequencing games or object search. These games are mind-numbing, and only become more tedious when we have to find, for example, 11,000 matches. Uhhhhg. I sure hope they with bring over the age-old proven games like Hearts, Spades, Poker, Cribbage and Backgammon where the player can actually use their minds to create the strategy. I really appreciate what you do, what Pogo did on creating this site, and don’t want to lose it to matching/sequencing games. Thank you for your feedback, Foreversapphire. I’m glad I’m here for you all to talk to. Happy to help and be a sounding board. why do we have to sign in anytime we come on pogo? Thanks for letting me know about the repeat sign-in issue. The Pogo team is aware that some Pogo players are experiencing this issue and are investigating it. Thanks again. Why make a level in the new Cookie Connect so hard you can not win, can not move on. I love this game and have waited anxiously for the new levels.. but level 424 is impossible for me. spending gems and still not doing.. I have 3 stars in the majority of games after many hours of playing.. If you can at least one star.. it gives you incentive to go back and work on getting right. I have been a member for many years and never complained .. but this level is ridiculous. I encourage you to head on over here to the Pogo Forums as there’s a pretty active thread about level 424 in Cookie Connect. Some players are offering their own tips and talking about their experience. Thank you for playing and I know you can beat this level! And I’m thrilled to have new levels in Cookie Connect to play, I somehow missed that announcement! And a BIG THANK YOU Cool Games Studio, and to whomever at Pogo suggested the change to them, for the “Retry Level” button!!! It makes replaying levels so much nicer not to have to go through 5 screens to restart a level. Thank you thank you!! As I’m reading this, I’m actually sipping on a cup of tea so your comment about tea did make me chuckle a bit. Hi Pogo Llama, Thanks for all your interesting articles. I have a question that I haven’t seen addressed. Is Pogo keeping Cribbage? I love the game, and sometimes, my granddaughter in MN and I, (in TN) get together and play. But my problem is that the game is so small, and can’t be enlarged. It would be easier for this old grandma to see, if Pogo could make it larger, if not full screen. I just want to make mention that my grandparents LOVE cribbage and still go to cribbage tournaments all over Nevada and Wisconsin. Unfortunately for me, I did not pay attention when they tried to teach me how to play it. For that, I’m forever regretful and I’m so impressed that your granddaughter plays it with you. Thank you for sharing that. I haven’t heard anything about Cribbage being transferred over to HD (which would include full screen capabilities), but when and if I do, I’ll let you all know here in the blog. Thank you for asking and for reading the Pogo Insider. Have a really nice weekend. Lady: In my family, cribbage is played especially when traveling, since it is one of the best two person games out there–mom and dad can play when they took motor-home trips. I was on a cruise with my mom one time, and we were in the cabin having a drink and relaxing over cribbage before going up to dinner. I actually got a perfect hand! I’ve never seen another perfect hand dealt. That was really amazing; I didn’t realize it until we went to count out our hands at the end of the game.THAT was an amazing game! Thank you for your Cribbage story, Pr Chris! Just wanted to drop a quick note saying THANK YOU!. I wake this morning and dragged myself to the computer to get the GotM badges and what do I see? Pogo. I actually see Pogo. Yes, although still simple in design, those GotM badges are beyond nice, having a bit of style and life. The imagery will be pushing me even harder to get these challenges done. Very pleased with this month’s GotM badge art. Thank the designers and all. Besides, I still love Nestor. So happy to hear this, Kat. Brings a smile to my face. I’ll pass this along to the design team as well. Enjoy winning those Word Whomp HD badges! Many thanks for Claire Hart Classic. So much easier on the eyes and it moves so fast when loading, etc. Great job!!! Hi, Pogo_Llama! Wow, what a fun week here at Pogo! The release of Poppit Party was so exciting. I love all the new costumes! Also, I know there’s been some grumbling about the Slingo Blast challenge, but personally, I kind of like that it’s a real challenge, rather than something easy that takes 10 minutes to do. Finally, I’m so thrilled with the Word Whomp Game of the Month badges! Usually, those types of badges are a little boring, because the icons are just “1, 2, 3, 4.” These, on the other hand, are so cute and full of personality! I’m sure the team worked hard on them, so please pass along my thanks. I hope you have a good weekend, and thank you for all you do to keep us informed! version of word whomp) in HD any time in the near future? Thanks for your question and request about Word Whomp Wackdown. If I have any updates on that game being converted to HD, I will let you all know in the Construction Zone. Have a good week. I am enjoying Poppit! Party. I do have one question, however. When the game was announced with the “First Collection” of costumes, the original intent was three levels of play. After a whole bunch of players completed the game, and wanted MORE!!!! Pogo increased the game to 10 levels. Has Pogo decided whether this second group of costumes, which is 1/2 the size of the first, will have only three levels, or do they intend to go through 10 levels? It makes a difference to my note cards as to whether or not we go to 10…aside from play, that is!. I also hope you’re already working on the Third Collection…you know you’re going to have to, so you might get started now. As I do not have an answer for your question, I shall try to get one for the next Insider. (No promises though). Thanks for being such a fan and enjoy your weekend.